Replies: 28 (Who? ), Viewed: 39494 times. Drag the Resource.cfg to my desktop. Select Notepad to open it. Now just SAVE (don't forget this bit), and drop it back into your Caw folder in Programs. 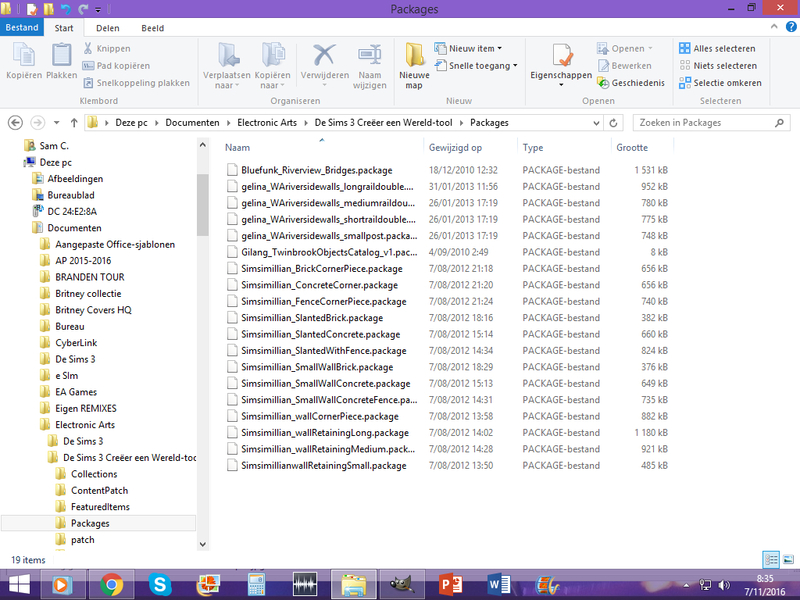 Make your "Packages" folder, and drop all the wonderful goodies in. Now, if you're just too tired right now to read through a tut, and implement it, no problem, here is the already amended Resource.cfg. Don't forget to make your packages folder. 24 users say thanks for this. Thank you auntielynds, this is very much needed! I'll add it to the Wiki tutorial lists. This message has been deleted by kiez. I'm a little late in saying this, I guess, but thank you for putting in an already-altered version. For some reason my computer won't let me open the file in Notepad. This message has been deleted by jisgr8. I cannot find a resource.cfg file - I have the version of CAW that works with the latest patch, and my folder looks WAY different. Is there something different I need to do? I'm going to back everything up, then attempt to complete the tutorial without the file. "Now, now, Syd. Movies don't create psychos. Movies make psychos more creative." "There are 10 types of people in this world. Those that understand binary and those that don't"
@SpearsInstrumentals You'll have to elaborate- what have you done exactly and what errors or problems do you get? For the bridges, do you mean the Riverview ones? In that case, you need Riverview installed too. 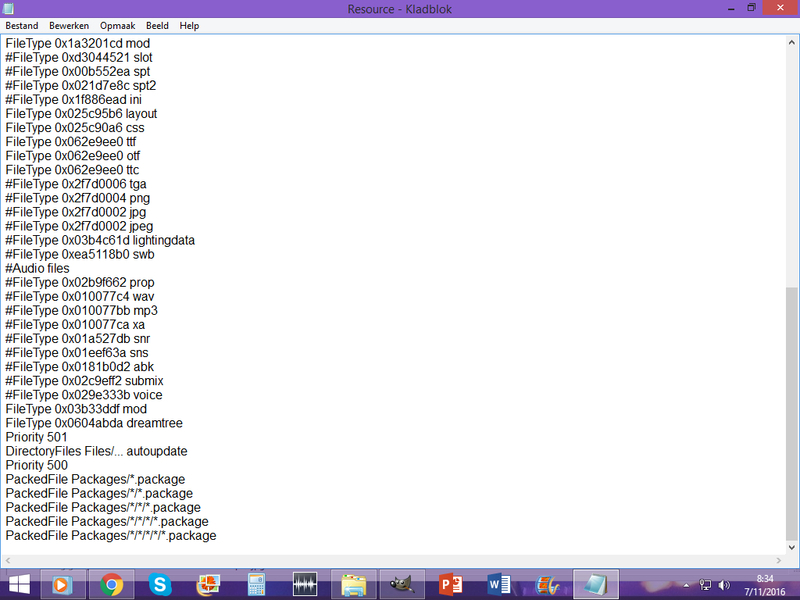 Can you show us a screenshot of your resource.cfg and packages folder, like auntielynds has in the first post? 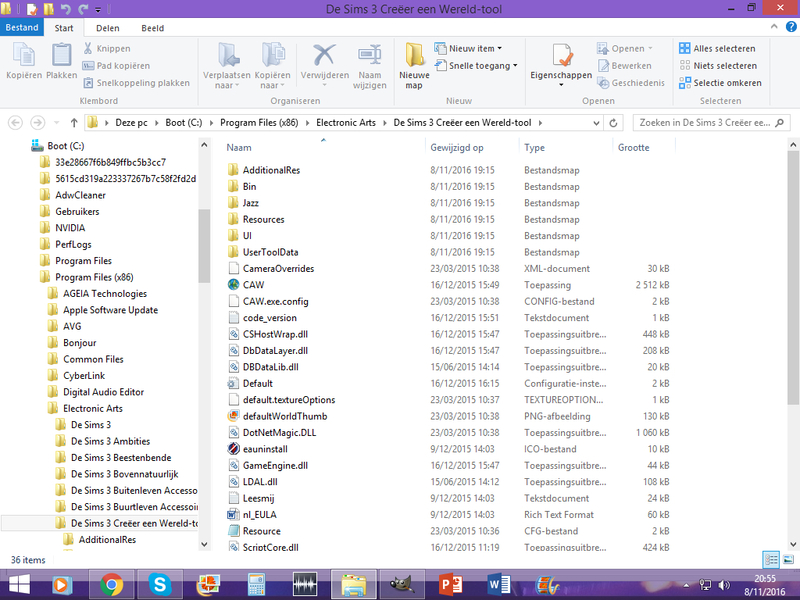 The picture of your Program Files/Electronic Arts/The Sims 3 Create A World Tool folder is not normal. 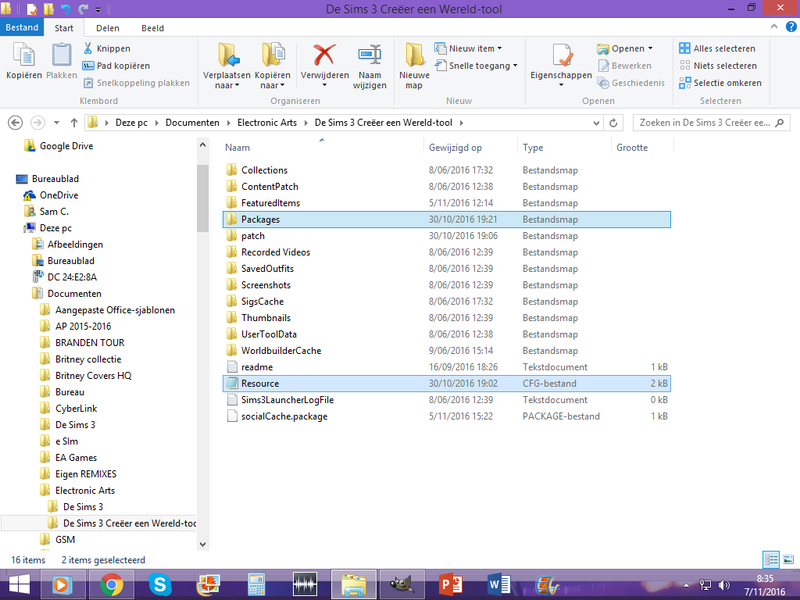 It contains the same files as your userdata (Documents/Electronic Arts/The Sims 3 Create A World Tool) folder. Also, the filepath shows 'Electronic Arts1'. Are you sure that you have your CAW tool installed correctly? Are you sure that it is installed to the 'Electronic Arts1' folder? it has always been that way...I've made a world already and everything worked just like it has to. What do you suggest? Where is your Sims 3 game installed to? Is that under 'ElectronicArts1' too? Could you show me a screenshot of the contents of your 'ElectronicArts1' folder please, and also check that you don't have a folder called 'ElectronicArts'. 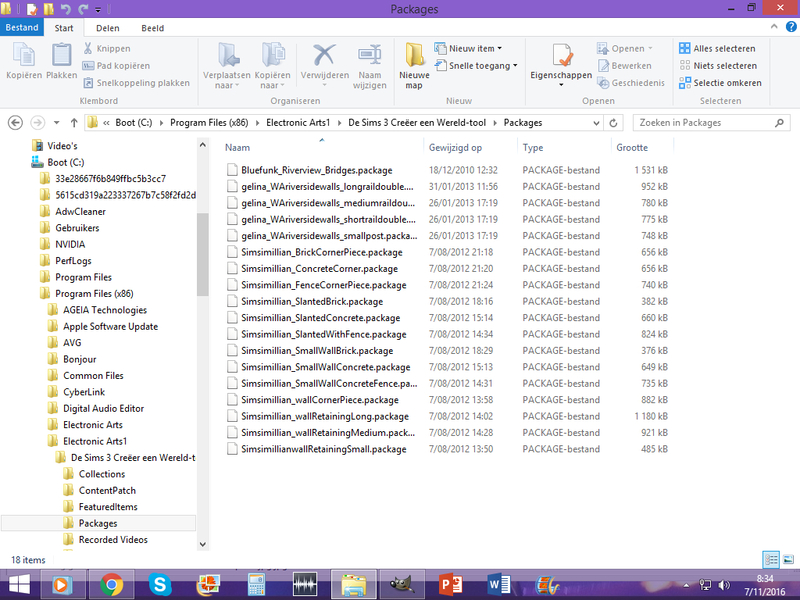 I have both, CAW is the only thing that's filed under EA1 and alll the other sims are in the EA file. I've uninstalled CAW and re-installed it. Now it looked like it should look like, however now I can't even load the game anymore. An error reading "an error occurred in the sims 3 caw - beta" keeps popping up when loading the CAW tool. 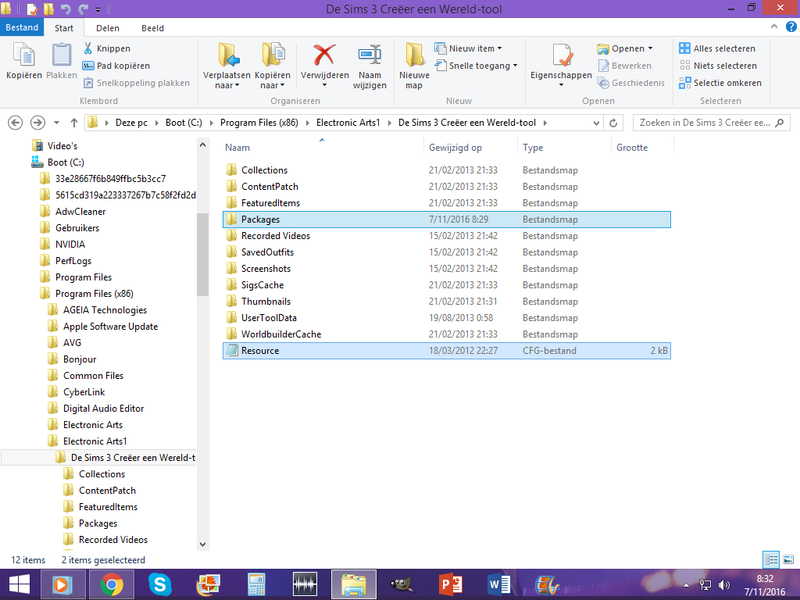 I've deleted and re-installed it as much as 3 times now and it keeps popping up...I tried REVO to delete it but when installed, even REVO can't find anything called create a world (but in Dutch as I'm from Belgium). I've uploaded a picture how the file looks like now and to me it looks the same as it's portrayed in here. 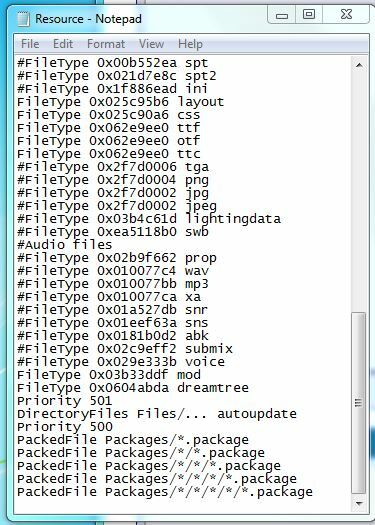 Ah, now the contents of your CAW install folder look right! If you compare your screenshot above to the one in your previous post, you'll see what I mean. Does CAW launch now? If not, test it with a clean set of userdata for Sims 3. 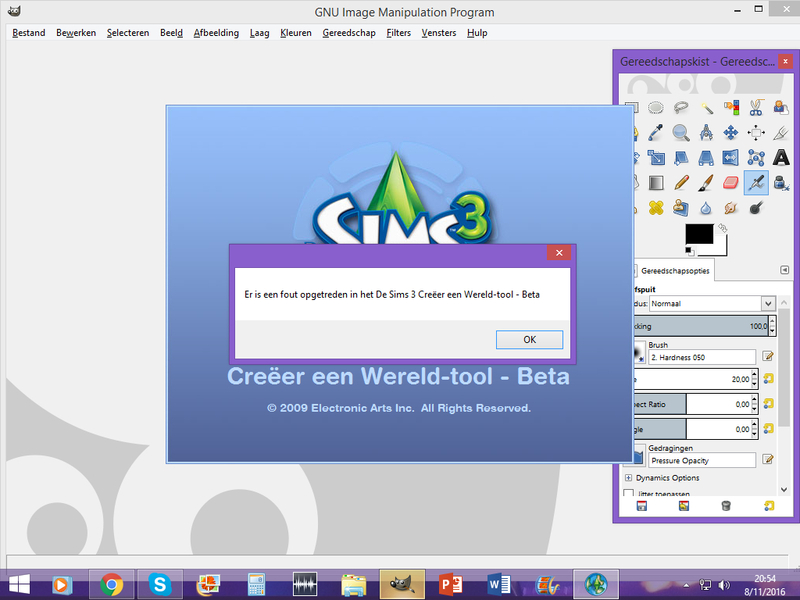 Drag Documents\Electronic Arts\The Sims 3 and Documents\Electronic Arts\The Sims 3 Create A World Tool to the desktop. Does Sims 3 launch? Does CAW launch? I've noticed the difference yes and I am doing now what you said, the file EA1 was already removed as I deleted it and it still is gone. I've deleted the cache files and did what you say. It's installing now. Annnnd nope, did everything what you sid but the error keeps popping up. I guess I can never play with it again. I hate all these stupid glitches. I'm seriously considering to delete the whole deal and just stop playing. It gives me nothing but headaches. Have you tried running the exe as an administrator? 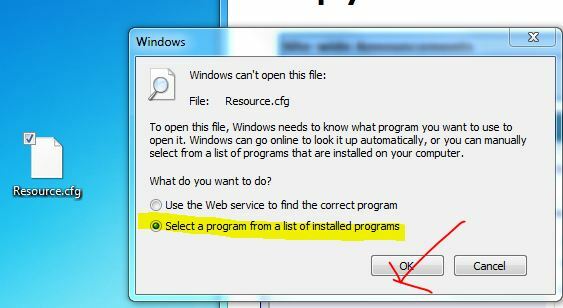 The other option is to install it to a location outside of the UAC protected locations, such as C:\ Games\ Electronic Arts. Have you tried running the exe as an administrator? . Okay, reinstall them to a location outside of the Program Files (x86) folder- I usually make a folder called 'Games' to install programs to, so the path would be C:\Games\Electronic arts etc. This will mean that UAC is not playing any part in your game.